The writers consider the fact that exciting and innovative literature is now being produced in many places and spaces in the world. Not just the United Kingdom and United States, which have been associated with the traditional ‘canon’. 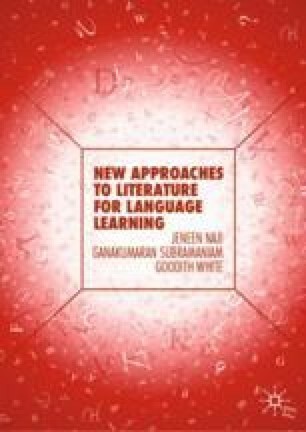 They discuss the implications of new Englishes and postcolonial contexts for this literature, and for language learning and ways of reading. The myth of ‘standard language’ is examined, as well as some of the universal themes of this new literature, such as memory, identity, and ownership of language, which make it particularly relevant for second language learners. Examples are given of hybridity of form and alternative reimaginings of classics such as Shakespeare and Austen, which are refreshing and reshaping literary genres. Chapman, K. K. (2012, September 11). Education Blueprint: Master Languages, Especially English, Says PM. Retrieved November 28, 2012, from http://www.thestar.com.my/News/Nation/2012/09/11/Education-blueprint-Master-languages-especially-English-says-PM/. Das, K. (2007). An Introduction. Available at http://www.poemhunter.com/poem/an-introduction-2/ (Poem Submitted March 28, 2012). Simmons, G. F., & Fennig, C. D. (Eds.). (2018). Ethnologue: Twenty First Edition. SIL International. Available at https://www.ethnologue.com/products.